Baylor University Press, 9781602583399, 284pp. Pain disintegrates a person, fracturing self and relationships. In Living Through Pain Kristin M. Swenson charts the multifaceted personal and social problems caused by chronic pain and surveys professional efforts to mitigate and manage it. Because the experience of pain involves all aspects of a person--body, mind, spirit, and community--Swenson consults an ancient resource for wisdom, perspective, and insight. 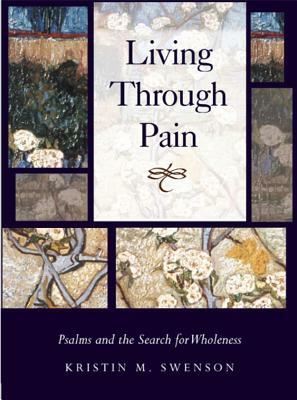 Her close reading of selected psalms from the Hebrew Bible demonstrates that the challenge of living through pain is timeless. Swenson shows how these ancient texts offer a vocabulary and grammar for understanding and expressing the contemporary experience of pain. The psalms tell of suffering and healing. They decry pain's propensity to fracture even as they demonstrate a person's ability to mend. Pain is a universal experience, and this book invites readers to consider more fully what is involved in the process of healing. Kristin M. Swenson (Ph.D. Boston University) is Assistant Professor of Religious Studies at the School of World Studies, Virginia Commonwealth University.